At Wholesale Computer Outlet, LLC we do our best in doing our part to help the environment. A clean earth is a better place and any effort now will help improve our children’s and grandchildren’s lives! This program is an in-store solution for customers to bring their old, unused, or unwanted consumer electronics, no matter where they were purchased, for responsible recycling! Recycling recovers more than 100 million pounds of materials from electronics each year. Recycling electronics helps reduce pollution that would be generated while manufacturing a new product and the need to extract valuable and limited virgin resources. It also reduces the energy used in new product manufacturing. In doing our part we collect any unused electronics and break them down to be recycled and reused. Computer components contain many toxic substances, like dioxins, polychlorinated biphenyls (PCBs), cadmium, chromium, radioactive isotopes, and mercury. A typical computer monitor may contain more than 6% lead by weight, much of which is in the lead glass of the cathode ray tube (CRT). A typical 15 inch (38 cm) computer monitor may contain 1.5 pounds (1 kg) of lead but other monitors have been estimated to have up to 8 pounds (4 kg) of lead. Circuit boards contain considerable quantities of lead-tin solders that are more likely to leach into groundwater or create air pollution due to incineration. The processing (e.g. incineration and acid treatments) required to reclaim these precious substances may release, generate, or synthesize toxic byproducts. Data security is an important part of computer recycling. Federal regulations mandate that there are no information security leaks in the lifecycle of secure data; this includes its destruction and recycling. There are many federal laws and regulations, like HIPAA, Sarbanes-Oxley, FACTA, GLB, which govern the data lifecycle and require that establishments with high and low-profile data keep their data secure. Recycling computers can be dangerous when handling sensitive data, specifically to businesses storing tax records or employee information. According to an IBM survey, while most people try to wipe their hard drives clean before disposing of their old computers, only 5% rely on an industry specialist or a third party to completely clean the system before it's disposed of. Industry standards recommend a 3X overwriting process for complete protection against retrieving confidential information. This means a hard drive must be wiped three times in order to ensure the data cannot be retrieved and possibly used by others. 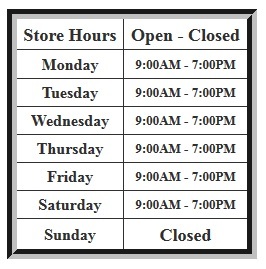 This is the process we use at Wholesale Computer Outlet, LLC to insure the security of your information! There are ways to ensure that not only hardware is destroyed but also the private data on the hard drive. Having customer data stolen, lost, or misplaced contributes to the ever growing number of people who are affected by identity theft, which can cause corporations to lose more than just money. The image of a company that holds secure data, such as banks, law firms, pharmaceuticals, and credit corporations is also at risk. If a company's public image is hurt, it could cause consumers to not use their services and could cost millions in business losses and positive public relation campaigns. The cost of data breaches "varies widely, ranging from $90 to $50,000 (under HIPAA's new HITECH amendment, that came about through the American Recovery and Revitalization act of 2009),as per customer record, depending on whether the breach is “low-profile” or “high-profile” and the company is in a non-regulated or highly regulated area, such as banking or medical institutions.” There is also a major backlash from the consumer if there is a data breach in a company that is supposed to be trusted to protect their private information. If an organization has any consumer info on file, they must by law (Red Flags Clarification act of 2010) have written information protection policies and procedures in place, that serve to combat, mitigate, and detect vulnerable areas that could result in identity theft. The United States Department of Defense has published a standard to which recyclers and individuals may meet in order to satisfy HIPAA requirements. Meet performance criteria showing they are environmentally preferable. Electronic Product Environmental Assessment Tool (EPEAT) is a procurement tool to help institutional purchasers in the public and private sectors evaluate, compare and select desktop computers, notebooks and monitors based on their environmental attributes. EPEAT also provides a clear and consistent set of performance criteria for the design of products, and provides an opportunity for manufacturers to secure market recognition for efforts to reduce the environmental impact of its products. The Plug-In To eCycling Campaign is one of many efforts EPA is using to increase the national recycling rate to 35 percent, among other goals. The campaign aims to get the word out about opportunities to reuse and recycle your old computers, TVs, and cell phones, and to build momentum for even more reuse and recycling programs. EPA is working with electronics manufacturers, retailers, and government agencies to reduce the environmental impacts of electronic products during their production, use, and disposal. The Agency will also establish partnerships and alliances with industry, states and environmental groups; provide training, tools and technology assistance for businesses, governments and citizen groups and get the word out through outreach and assistance to the general population, especially to youth and minority groups. 1. Foster a life-cycle approach to product stewardship, including environmentally conscious design, manufacturing, and toxics reduction for new electronic products. 3. Ensure that management of old electronics is safe and environmentally sound. EPA’s Product Stewardship supports multistakeholder dialogues, collection pilots, public education, and international cooperation to foster greater awareness and coordination of electronics reuse and recycling issues. EPA’s Design for the Environment Program works with electronics manufacturers to incorporate environmental considerations into product design. EPA’s Environmentally Preferable Purchasing Program helps federal agencies purchase environmentally preferable products and services, including electronics. EPA’s WasteWise Program challenges its partners to set goals for reducing electronics waste.